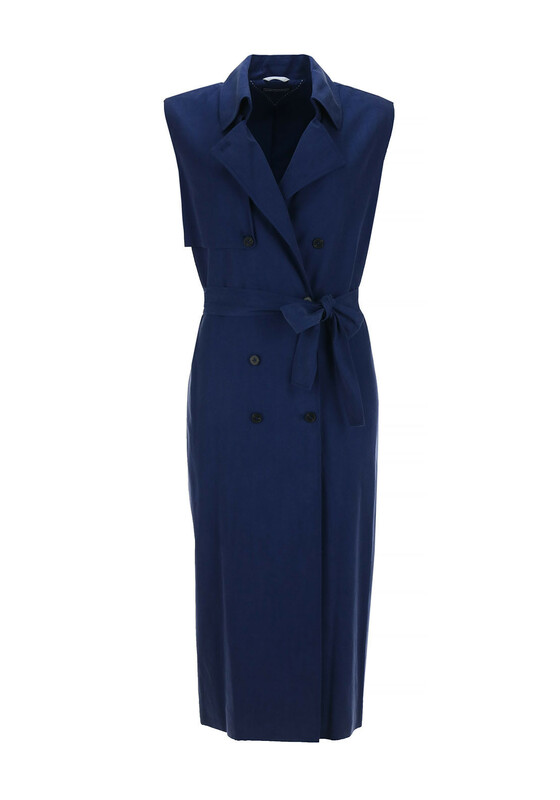 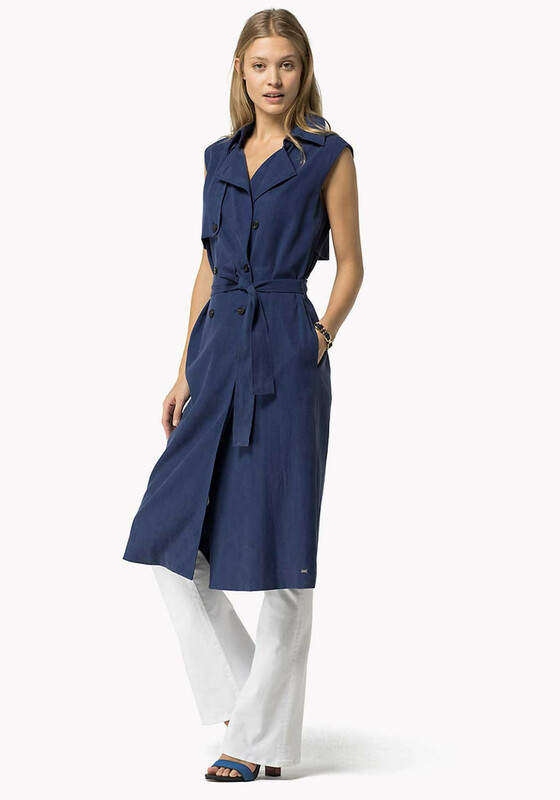 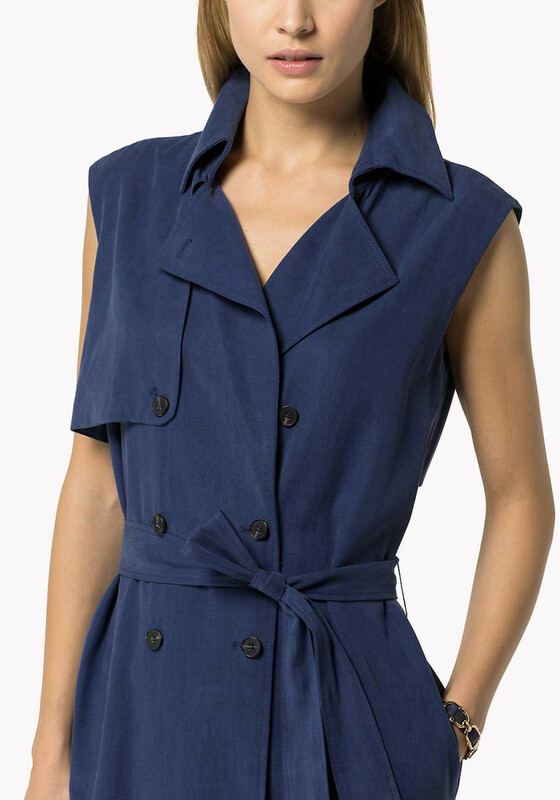 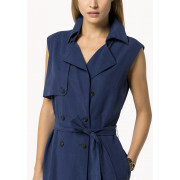 Tommy Hilfiger presents their quirky Jamila dress which features classic trench coat styling such as a double breasted button fastening, lapel collar and detachable belt. 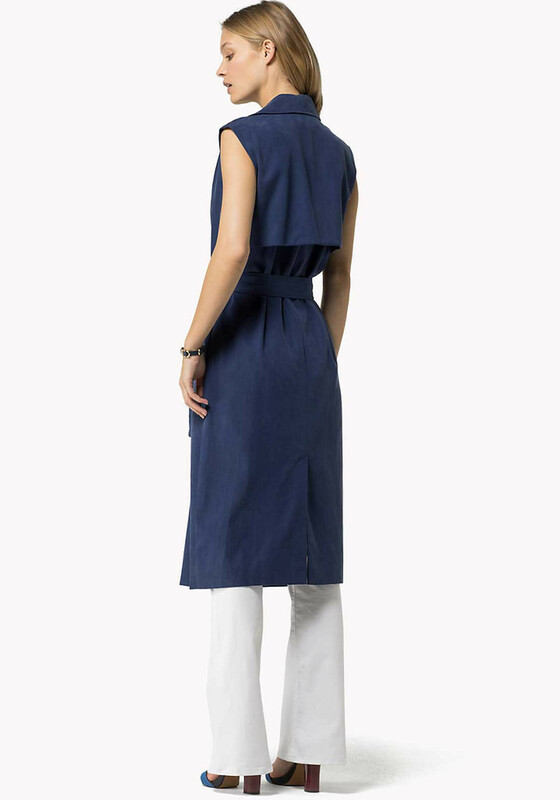 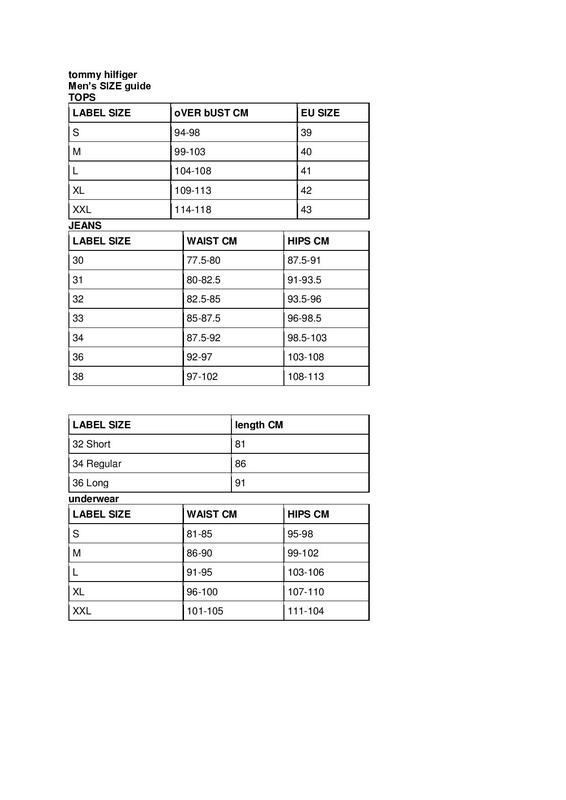 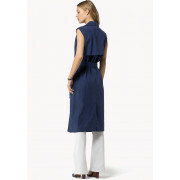 Made from structured cotton blend fabric and designed with a flattering midi length. 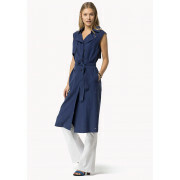 Accessorise with wedge sandals and a large tote bag to create a stylish off-duty look.